As I'm writing this up, Persona 5's US release date is right around the corner. Like...tomorrow. About two weeks ago, I fell back in love with Netflix/Crunchyroll/Hulu/Your favorite streaming service, which slowed any progress I was making on my game queue. Plus, I spent last week sick and my spare time consisted of me sleeping. What I'm trying to say is I ended up picking up MORE GAMES before Persona 5's release and they all are platformers. Despite my derping about, I did manage to find all the collectibles and reach the true ending in Shantae and the Pirate's Curse. Riding that wave of motivation, I picked up Half Genie Hero(HGH) while it was on sale and sunk a few hours into it. 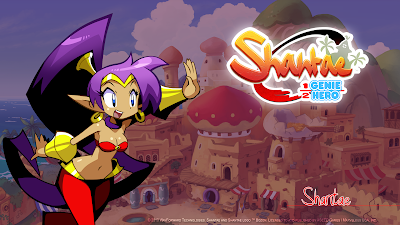 I don't feel I can say much about HGH,as I'm still new to Shantae, it wasn't what I was expecting. I don't want to get hung up on semantics but Shantae:Half Genie Hero feels more like a traditional platformer than a metroidvania. Not a bad thing! My feelings are identical to how I felt about playing Shantae and the Pirate's Curse: Music's great, art style's great and the platforming sections are enjoyable. I've gotten two of my transformations so far. I like how the transformations open up different paths for the levels. A few observations: I haven't had trouble affording upgrades in the shop and I don't recall running into many puzzles but do remember some tricky platforming sections. Again, not a bad thing! I do like being able to collect everything in shop. I'm hoping to sink more hours into Shantae in the next few days. I love Inti Creates as a developer. I have such fond memories of playing the Mega Man Zero series. I was pumped to find out about Azure Striker Gunvolt and ecstatic about its sequel. 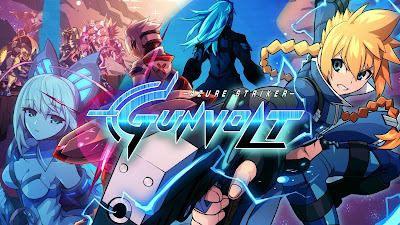 Gushing aside, Azure Striker Gunvolt plays like a Mega Man game but has a score system that rewards you for killing multiple enemies, not getting hit and completing a level quickly. The main character, Gunvolt, has the power to manipulate electricity. You fight by tagging enemies with your gun (which does a small amount of damage) and by emitting an electrical field that sends a current to marked enemies (and does a small amount of damage to enemies in your field). Unlike the Mega Man series, you do not have to look for heart tanks or gain a boss' weapon upon their defeat to upgrade your character. Instead, there is a leveling system in place that increases your health and learn skills as you level up. You do earn different guns that change how you can "tag" people when you defeat a boss/clear a level. I've been loving this game for its replayability. I'm on the verge of beating Azure Striker Gunvolt 1; all that is left is to unlock the true ending. My goal is to unlock the true end before moving onto Azure Striker Gunvolt 2! I hear there are two main characters you can play as in the sequel!! 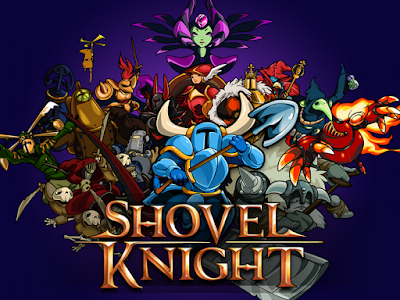 This is bad of me but I forgot I bought Shovel Knight on my Vita/PS4. I didn't realize this until I was brushing off my Vita to play Shantae: Half Genie Hero. I already own it on 3DS and have been chipping away at that. 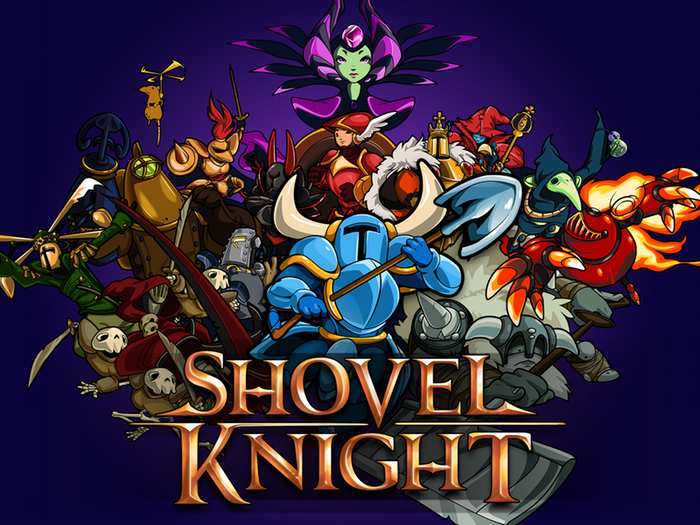 My friends were really hyped up about Shovel Knight when it came out. I finally got around to playing it while trying to satisfy my craving for platformers. It's pretty great. Currently, I'm about 4-5 bosses into the game. I like how you have an option to destroy checkpoints for bonus gold. Once I get better at the game I want to try to complete stages with no checkpoints and maximize the amount of gold I can earn. Honorary platformer because of the jump puzzles. I've craved an MMO recently, preferably one with fishing. I refuse to return to WoW (YOU KNOW WHAT YOU DID, CODY) , plus subscriptions are gross. 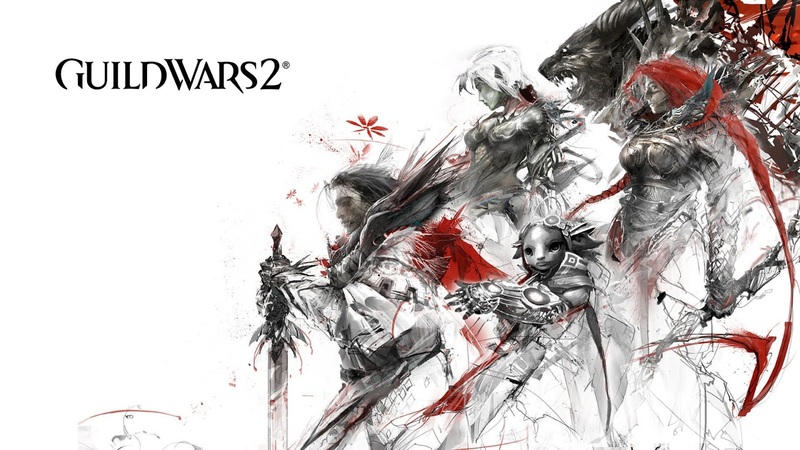 Guild Wars 1 has a fond place in my heart and Guild Wars 2 is growing on me. I've played on and off ever since I've had a PC capable of running it. The lack of a defined healer, tank and DPS is weird but I like Guild Wars 2 because I can drop it and pick it back up any time I want. That jump puzzle I linked is from the Halloween event and boy is it brutal. I won't do anything like that but I still enjoy how they implemented jump puzzles. If only it had fishing!!!! I'm hoping to beat Shovel Knight and Shantae HGH before I start Persona 5. Honorable backlog mentions go out to Nier: Automata. I got that as a gift but haven't brought myself to sit down and start it. With the exception of Guild Wars 2, I've been playing all those games on my handhelds because I don't like sitting still for too long. This is going to be ambitious but I hope my next backlog entry will be Persona 5:Automata. I don't know how well I'll do juggling two story-heavy games.